Rixxan Z has sent us what looks like a plastic toy, but it’s in fact a Samsung Galaxy S5 with slight specs upgrades and design downgrades. It gets what seems to be a cheaper case and a variety of colors for it, including pink and mauve. 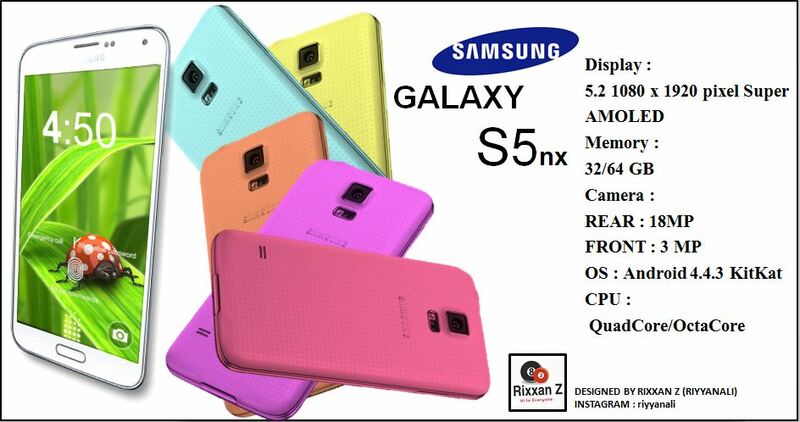 The name of the Samsung concept phone is Samsung Galaxy S5nx and it keeps the general lines of the S5, the major ones. It specs include a 5.2 inch Full HD display with Super AMOLED panel, 32 or 64 GB of storage and an 18 megapixel camera, up from the standard 16 MP. The front camera is a 3 MP shooter and the OS is Android 4.4.3 KitKat. Such a product is pretty strange, since the case of the Galaxy S5 is already plasticky and making it more so may decrease its appeal. A metal case, I get it and also I get the fact that HTC wants a plastic M8, but why would anyone want an even more plasticky and toy looking S5? Why? !